The e-board members of LASO are adamant about providing Latin culture to the Kean community. The Latin American Student Organization (LASO), formerly known as the Association of the Latin American Students (ALAS), is making its way through Kean University. Just like many other cultural clubs on campus, LASO seeks to provide awareness and knowledge of the Latin culture to the students willing to learn. Both Latino and non-Latino students can find a home within the organization, as its main goal is to enrich and stimulate conversation throughout campus. If students are able to enrich their minds, they will also be able to make a difference to an already accepting campus. Thus, LASO emphasizes the importance of diversity within their meetings. Their executive board consists of President Eddie Rodriguez, Vice President Tiffany Osoria, Director of Public Relations Gabriela Rodriguez and Adviser Sandra Espinal. Through this executive board, members of the club can expect to obtain different viewpoints that will expand their comprehension on topics related to Latin culture. "Students can expect to feel immediately welcomed to our organization. Students will have the opportunity to get involved on campus, increase their networking skills, grow professionally, but most importantly, feel accepted," said Eddie Rodriguez in regard to the developmental growth members will receive. In terms of the tools provided during meetings, students can better understand Latino cultures such as the Caribbean, Central American and South American countries and consciousness of their role on this campus. 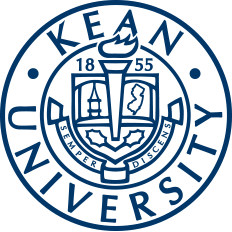 Vice President Osoria, wanted to make sure [the organization] flourished and got the students at Kean as involved as possible. This mindset allowed her to pursue the role as vice president of LASO. "Me and Eddie thought of this together, then we worked on getting it recognized and it came together. We're still in the process of making the club reach its full potential," said Osoria. "This club is beneficial to students in a cultural aspect [because] we're here to become a home for our Latin students in the community. [We also want to] make sure they flourish into leaders here in this campus. Hopefully, they learn more about the Latin community and have a strong take away." As director of public relations, Gabriela Rodriguez revels in her opportunities with LASO and how she was able to voice her opinions within the e-board. "I wanted to be involved in an organization where people feel like they belong. It has helped me develop new relationships with people that I wouldn't have had before, and thanks to this organization, I am able to form bonds with so many others while giving back to the community," said Gabriela Rodriguez. "Being friends with Eddie during our resident assistant's job, he told me about his aspirations for the organization. He wanted to develop with other students, and I was immediately captivated to help execute the vision that we all had." As a commuter, Gabriela Rodriguez understands the importance of being involved at Kean, with that being said she stayed after school and was alert about any opening for an organization or job. "This organization is a place where people from all different backgrounds can come and learn more about each other," said Gabriela Rodriguez. 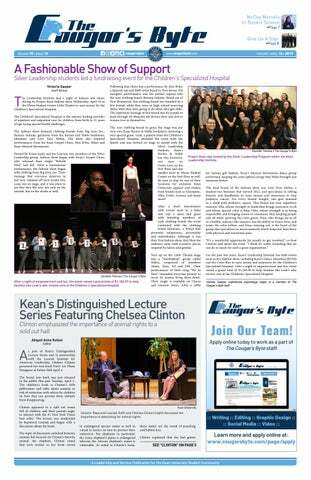 "It gives us a platform at Kean University to have our voices heard. We create an environment where anyone that comes out to our events feels comfortable and included. This organization will give students the opportunity to grow as individuals, as they become more knowledgeable about what occurs around them and who they are surrounded by. We want to give a new perspective to people as we teach each other to be more open minded and understanding of new view points." In order to bring conscientiousness to the Kean community, LASO continues to implement events to showcase their culture. "To finish off the year, we have a salsa night and a potluck dinner. For the last two programs, we have collaborated with Helping Younger Hands for a toy drive for the Children's Specialized Hospital. To finish the semester off, we will wrap up the gifts that we collect during the toy drive," said Gabriela Rodriguez. "We are planning to have multiple numbers of events like 'La Cena' every month. 'La Cena' is where all members would come together and have dinner. It can also be related to a Sunday family dinner once a month," Eddie Rodriguez said. Students interested in joining LASO can email keanlaso@gmail.com for more information.